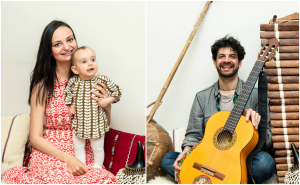 David and Olga connected in Brooklyn’s thriving music scene. Surrounded by astounding talent from every corner of the globe, they began to dream of raising the bar of music education. Their shared passion comes from the belief that music can make the world a better place. Olga is a mother, traveller and music lover. Before having her daughter Naima, as a lawyer, Olga devoted years to helping refugees from around the world. She holds a Masters degree in Anthropology from the School of Oriental and African Studies, University of London, and a Masters degree in Human Rights from American University in Washington D.C. She has travelled the world extensively and explored more than 25 countries. 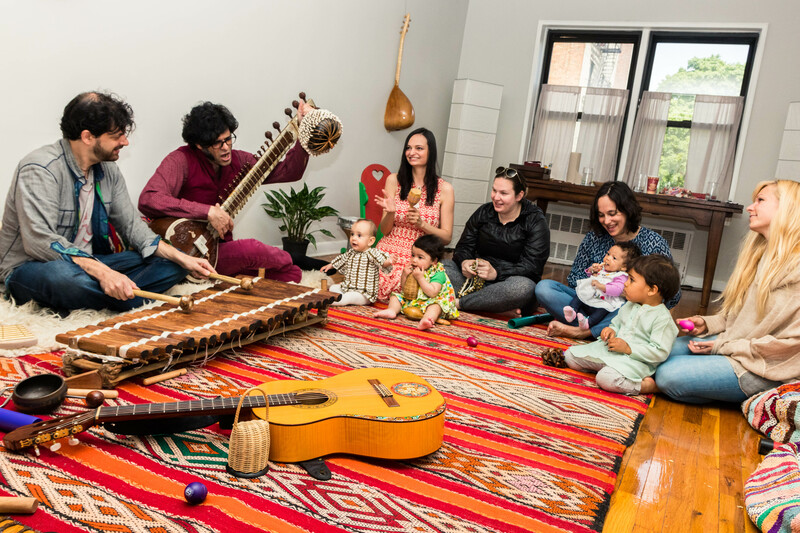 Olga’s home is always filled with music and Naima has been attending concerts since she was 3 weeks old. The origins of WME are rooted in Olga’s experience of observing Naima respond to music, physically and emotionally, almost from birth. Olga’s mission is to share this developmentally enriching experience with other kids and their families. David is a NYC based musician and producer. He studied and performed music around the world in Ghana, Mali, Brazil, India, Cuba, Korea and beyond. His radio programs on WKCR 89.9 FM-NY and podcast NYC Radio Live have featured over 50 Grammy Award winning artists from dozens of countries. He is the Executive Producer of the 24 hour Ragas Live Festival now entering its 6th year. David’s passion is education and he has a Masters Degree in Education from Teachers College Columbia University. Utilizing they myriad world class artists he is connected with, he founded WME to expand the vision of what Music Education can be.